A clinical study was performed in order to determine the effectiveness of OCEight’s formula concerning the absorption of facial oil. Subjects involved in the study used OC Eight for eight weeks, with facial shine and redness measured, assessed and photographed so the results could be compared. 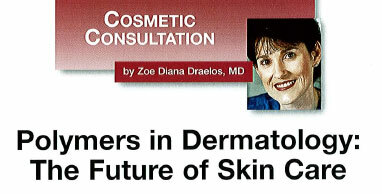 The study demonstrated a link between skin sebum (the basis for oil on the skin) and redness in the appearance of skin. The study also showed a statistically significant decrease in facial shine due to the application of OCEight’s formula. The outcome is due to ACRYSORB® micro-particles, which absorb skin oil and sebum. This absorption results in reduced shine, reduced redness and a more balanced skin tone.